Move One Kosovo: Plaque of Appreciation from US Embassy. Our Move One Kosovo office received the plaque of appreciation from the U.S Embassy in Pristina. 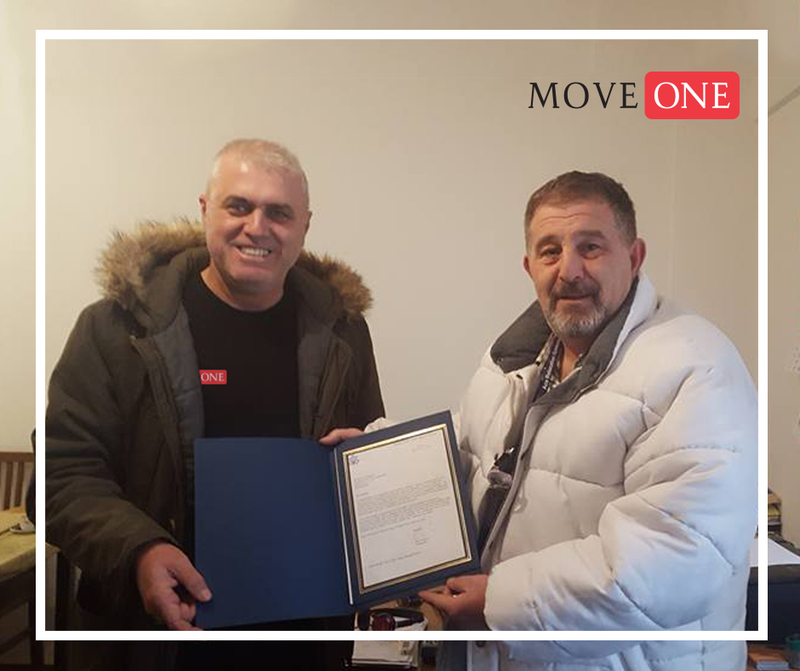 Mr. Petrit Shala, Customs and Shipping Supervisor from the U.S. Embassy in Pristina handed the plaque of appreciation to our Move One Crew Leader, Mr. Bardhyl Krasniqi.